Poor Ventilation: When roofs aren’t properly ventilated air can’t circulate through the roof and the moisture and temperature levels can get thrown off. This cause mold and mildew growth, and damage to roof rafters, shingles and insulation. A properly installed roof will have vents at the base of the roof and near the top of the roof to allow for hot air to leave the attic. Shingle Issues: By walking around and looking at your shingles, you can notice a wide range of problems. Asphalt shingles that are missing, cracked, blistering, curling, raised, and more should be inspected right away. Sitting Water: If your roof doesn’t have a steep slope, you are at a much higher risk of ponding water. This is very popular among commercial roofs or sections of a residential roof that are flat. Pests: If you can hear animals in your walls or in your ceiling, then there is a very good chance that they are making their way through your roof. Open Holes & Punctures: While it may seem like an obvious issue to cause roofing problems, many roofs have gaping wholes that you can see with your eyes. This can happen from a fallen tree branch or just normal wear and tear. If you have noticed any of the following problems above it is imperative that you reach out to a roofing professional right away. If not, the problem can and will become worse. If you have any other roofing questions of your own, feel free to reach out to Jancon Exteriors. 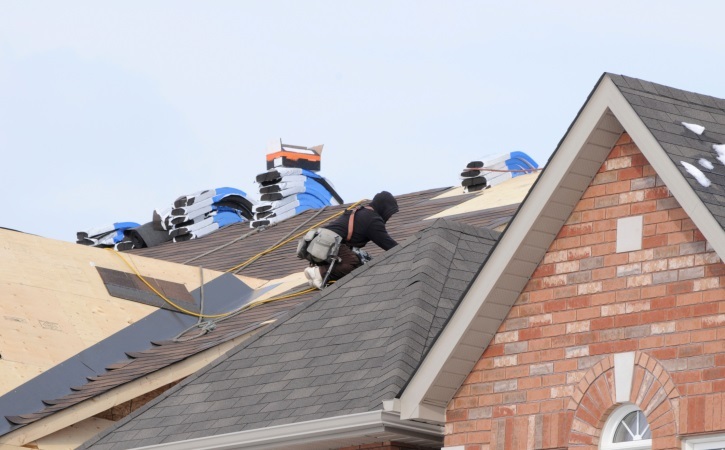 Located in Franklin Massachusetts our team helps homeowners throughout much of Eastern Massachusetts with quality roofing repair & installation services. We can be contacted today over the phone at (508) 520-3935 or through our online contact form.